These backing boards are 6.75" x 10.5". 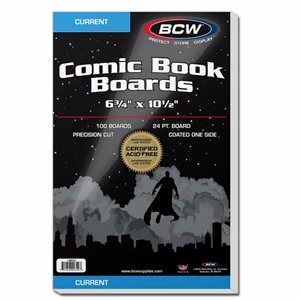 Precision-cut, acid free, and coated on one side, they are designed for new comics and are intended for use with BCW's current bags. These are the backing boards we use for our subscription books.